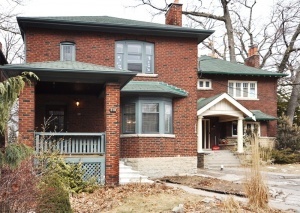 High Park Original Duplex - Rare Opportunity! Live in glorious Prime High Park with significant revenue to help pay for the mortgage. Superb layout of 3300 sf (including basement) is divided into 3 suites. Lovely 3 bedroom main floor owners suite, charming 2nd floor 2 bedroom suite, and a 1 bedroom basement suite all feature own laundry. Brick Detached legal duplex with optional parking on an extra large beautiful lot only 2 doors to High Park! Huge deck out back for entertaining, old fashioned front porch and incredible lush private gardens . Excellent combination of unspoiled 1920's charm and character, wood trim, spacious principal rooms and $$ upgraded mechanics. Possible to convert to a single family home. Convenient location provides easy access to streetcar, bus and subway. Walk to the shops & local restaurants of Roncesvalles Village. Close proximity to Bloor West Village. Location, income & space offers real value for live-in or investment buyers. Take pleasure in the mix of old-fashioned city neighbourhood life (enjoy the annual Indian Grove Street Sale or shop at the High Park Zen Centre's yard sales). Friendly neighbours! The High Park neighbourhood offers rolling hills, winding streets & towering oaks, and is an extension of the hundreds of acres of parkland and gardens in High Park. Attention Dog lovers - the off leash trail is nearby & easily accessed. High Park is a great place for kids play, numerous sports & The Howard Park Tennis Club (public) has superb facilities a block away. Stay active with biking & blading along the Martin Goodman Trail & Lake Ontario . Situated between two of Toronto's most popular destinations - Roncesvalles Village and Bloor West Village . 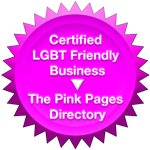 Close to libraries, interesting cafes and food shopping. Coffee & All That Jazz is a great neighbourhood coffee shop. Summer is highlighted by a variety of festivals and street activities . Access to quality schools including the coveted Howard Jr. Public , which offers French Immersion. Bonus for potential prospective tenants and owners with children. Go green - lots of TTC and public transit routes connecting to downtown via Keele Street subway or streetcars via Dundas or College. Bike everywhere! Avoid waiting for the streetcar on a cold morning by keeping an eye on the nearby route from house - again great for tenants! When driving in and out of town there is easy access to Hwy 400, to the Gardiner, the Lakeshore, the QEW and the Airport . 218 Howard Park has been improved and upgraded for both family and tenant comfort. Purpose built original legal duplex with additional basement apartment features an excellent floor plan & layout. Each unit has a separate entrance, separate laundry and there are separate hydro and hot water tanks between main and 2nd floor units. Stylish nearly identical main floor and 2nd floor offer old world elegance with hardwood floors , wainscoting, and wood burning fireplaces , in approx.1100 sf. Each unit has a tiled 4 piece bath, and several storage closets. The 2nd floor enjoys a summer sunroom with views of the lush garden and neighbouring yards. Unique separate back staircase direct to 2nd floor allows entrance from rear. Main and 2nd floor are great for entertaining! Both feature extra large living rooms, formal dining room, and good size working kitchen with dishwasher. Attractive and spacious open concept 1 bedroom basement apartment was finished in 1999 and has always been easy to rent with long term tenants. Separate entrance from rear & own laundry. Modern $$ mechanics - No knob amp tube! Completely rewired in 1999 - 200 & service on breakers. Hot water boiler furnace 1999. Copper plumbing 2000. Drains under the house and all the way to the street replaced & east side of building professionally waterproofed in 2004. Eaves updated 2004. 2ND Floor pays own hydro and their rental of electric water heater. Main floor includes a gas hot water tank. If fully rented, net income is over $40,000 per annum! Owner's main level 3 bedroom suite includes 2 bedrooms on main and benefits from using half of the basement for one bedroom, an office and lots of storage space. Walk out from kitchen to convenient mudroom to huge party deck and stunning private landscaped perennial gardens . Lots of options! Live in and rent out or as did the neighbour next door with a similar duplex, convert to a spacious single family home. SOLID INVESTMENT! Mutual drive access to garage and parking if desired for 2 cars. Howard Park allows permit parking on both sides of the street all year round, which is a real benefit for tenants and guests. Proximate parking is always available. 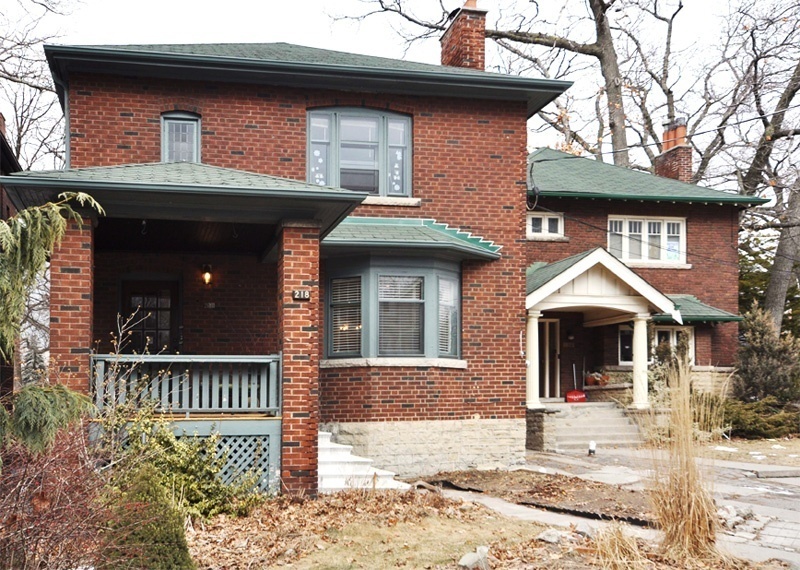 Great location, quality and price create outstanding value in this remarkable High Park home.